Wow. 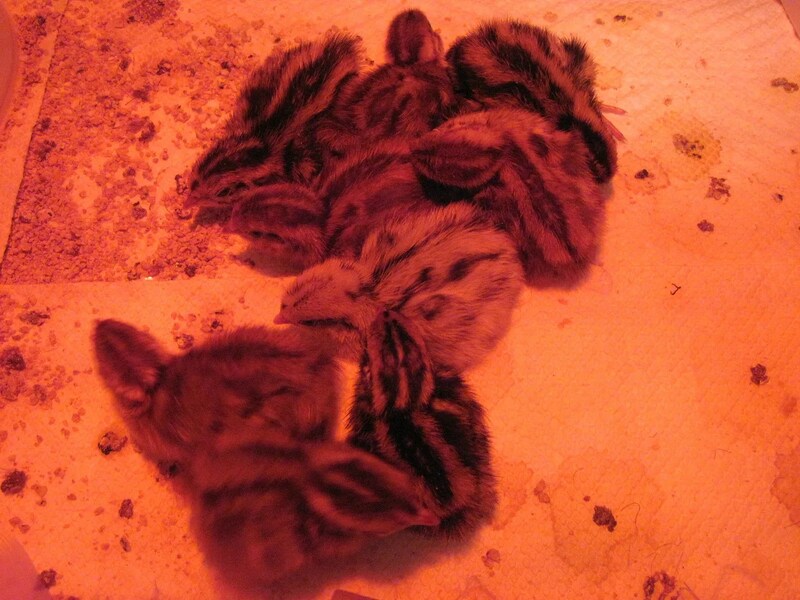 What an experience hatching quail has been! Some good, some bad. We’ll get to that in a moment, but first let me catch you up on the chickens. Elizabeth/Bess (who frequently goes by the name “Little Blue”) is a real sweetie. If all Blue Andalusians are this affectionate, I highly recommend the breed! She never fails to come over to sit on my lap and be petted. She and Ellie (my adult snuggler) are now sharing space on my lap…at the same time. They are little wary of each other, but willing to set aside their differences in order to be held. The other day, I was holding both of them, and Ellie put her head down close to Bess to have a good look at her. Mama Josie noticed, and came scuttling over, hackles raised, to give Ellie a warning growl. You can look, but don’t you dare touch! The chicks and the grown hens are now sharing a living space 24/7, and getting along great. Josie, who used to be at the bottom of the pecking order, has now risen to the top, and is enjoying herself more than ever before. I hope this change in status will last, since she’s a sweet, gentle girl who doesn’t abuse her power like certain other hens do *coughLedacough*These babies have completely changed her life. Last night mama and babies perched with the Big Girls for the first time instead of sleeping in the nest box. I think this means they are officially grown up. 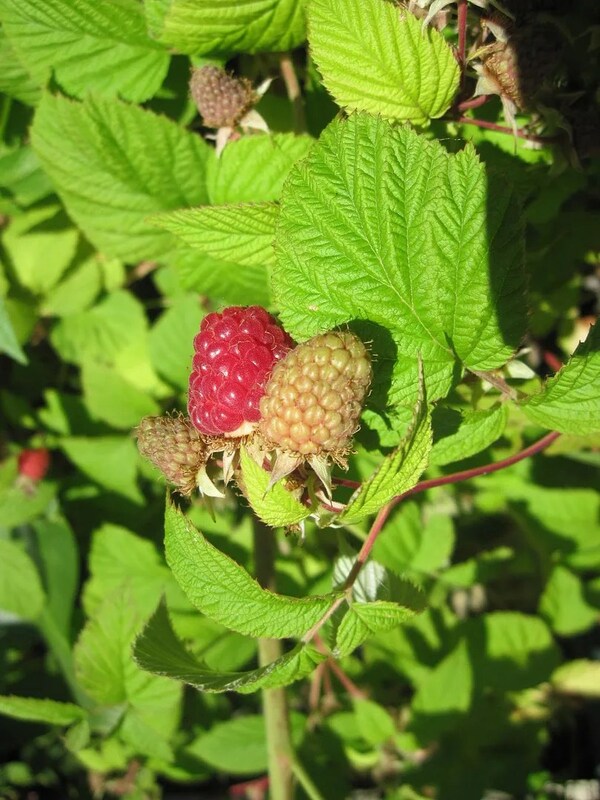 AND we have raspberries! Yum! And now – to the quail! I discovered that baby quail really like to climb up and sit on things. The humidity sponges in the incubator. Unhatched eggs. The thermometer. Thanks, guys – now how I am going to tell if your humidity and temperature are right? 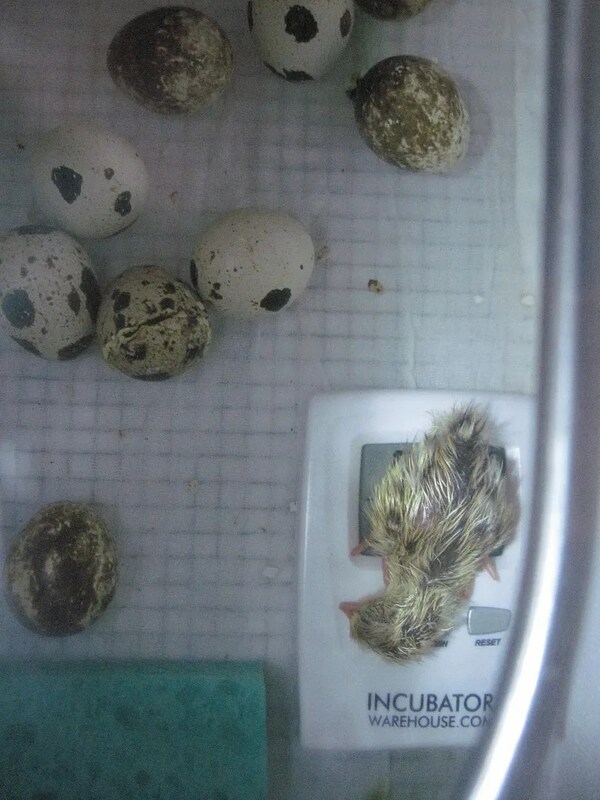 After four days of hatching, I think our last one hatched this morning. That gives us a total of 16 chicks from 42 eggs. I’m pretty happy with that percentage, since I was expecting at best a 50% hatch rate from the shipped eggs. Three died in the shell of unknown causes, and four more probably would have died, had we not taken desperate measures and helped them hatch. This is a last-ditch effort, and not recommended unless you are positive the chicks will die without help. Remember that chicks can take a looong time to come naturally out of the shell, so you really have to watch them carefully and don’t just assume they’re in trouble when they are really fine. 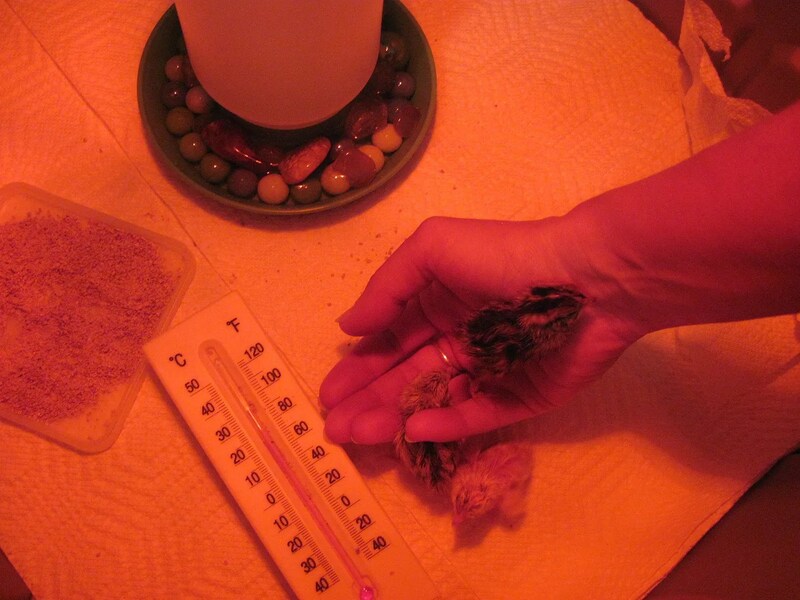 It worked ok for us; all four chicks we helped survived, and are healthy. One was really weak after the hatch; to the point where I thought her entire right side might be paralyzed. She could not even sit upright, but kept falling over. 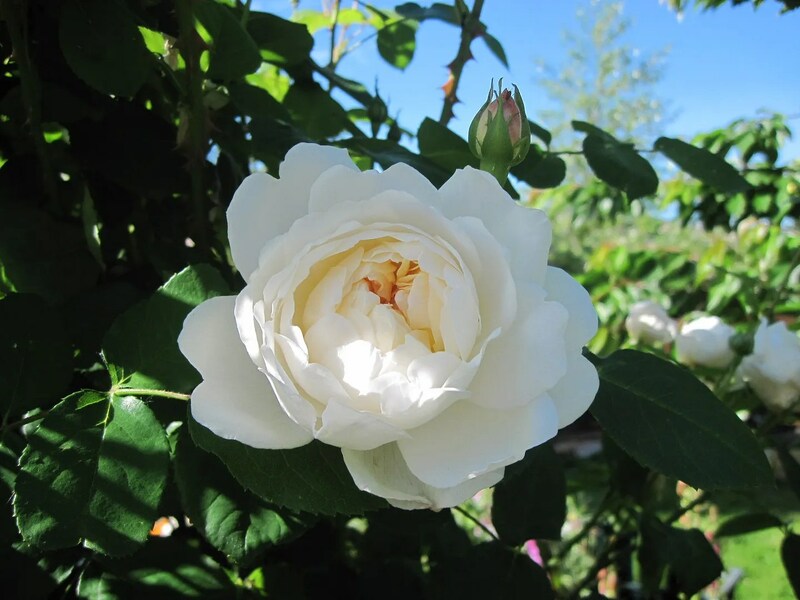 If she had been able to turn herself around in her shell and work herself free naturally, she would have strengthened those muscles and come out of the shell tired but good to go. As it was, she was too big for her shell, and couldn’t move in there at all. I had to spend a couple of hours working with her until her muscles were strong enough to allow her sit and walk normally. Right now, she’s still a teeny bit unsteady on her feet, but every time I check her, she’s even stronger. I feel certain by tomorrow she’ll be completely normal. It was a frightening thing, to hatch a chick! You have to be so careful, because if the blood vessels aren’t completely detached, you can make them bleed to death. Plus, you need to keep the humidity in the incubator high for the other eggs. 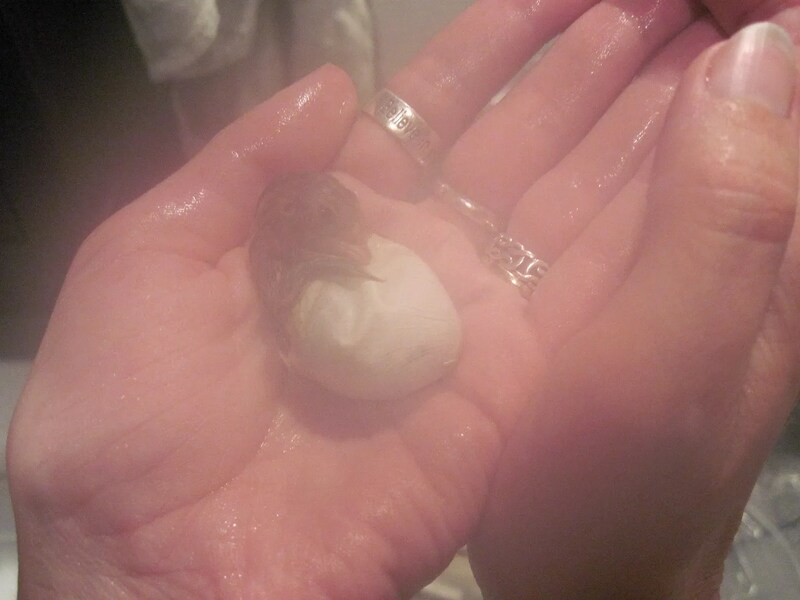 I took the whole incubator into the bathroom and ran the shower until it was like a sauna in there, before I opened the incubator for any reason. That worked like an absolute charm! And, the moment when the chick finally manages to hatch in your hand? Magical. Even though you stayed up until the wee hours of the morning two nights in a row to help them hatch – because if you didn’t, you knew they would be dead by morning. It’s hard to take a clear picture in a foggy bathroom! 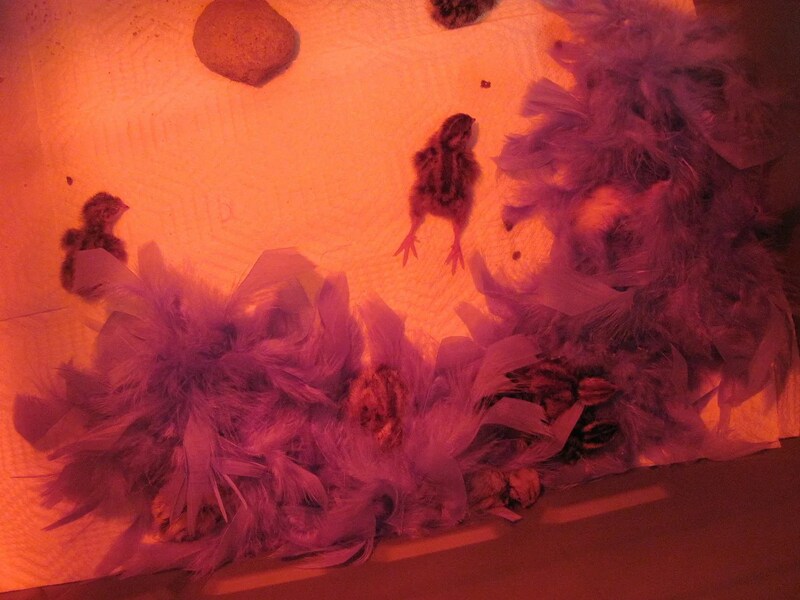 Since the eggs took four days to finish hatching, we took the babies out in batches and put them in the brooder. 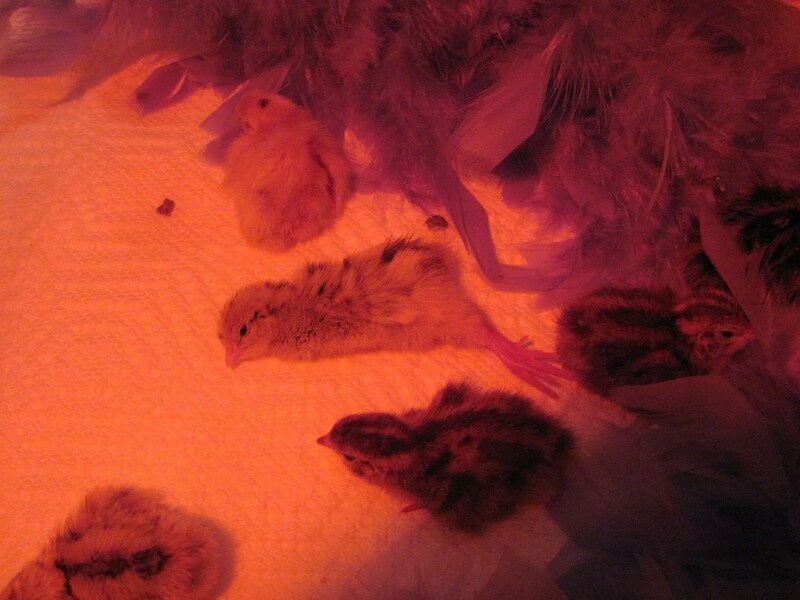 Among the sixteen chicks, we have six Italians, six Standards, and three Blondes. And one surprise: an egg mixup. See the yellow chick in the front? I thought at first she was a Standard, because she hatched from a “Standard egg”. Only when all the other Standards hatched, and they were a difference color, did I google it. I discovered she’s actually a Texas A&M. She’ll be pure white when she’s grown. 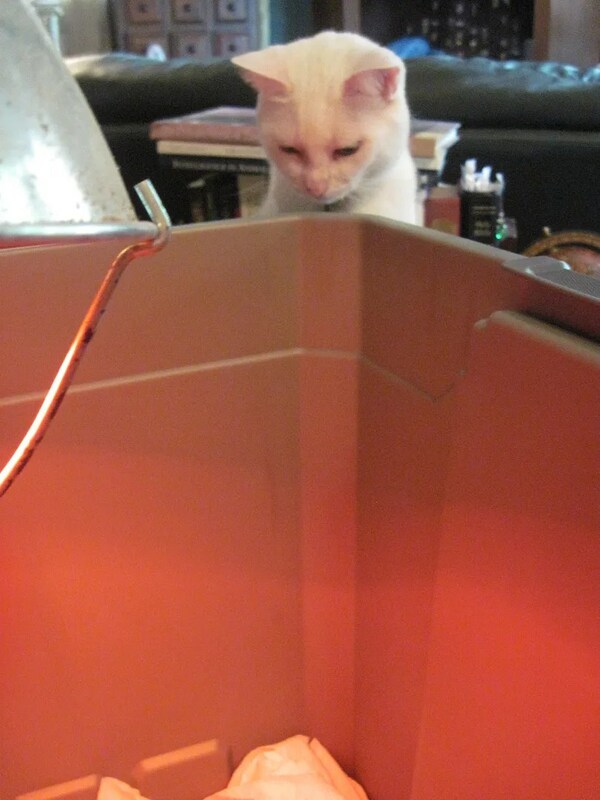 As for cat Sookie, she’s never seen anything so marvelous as the contents of that brooder box in all her life! 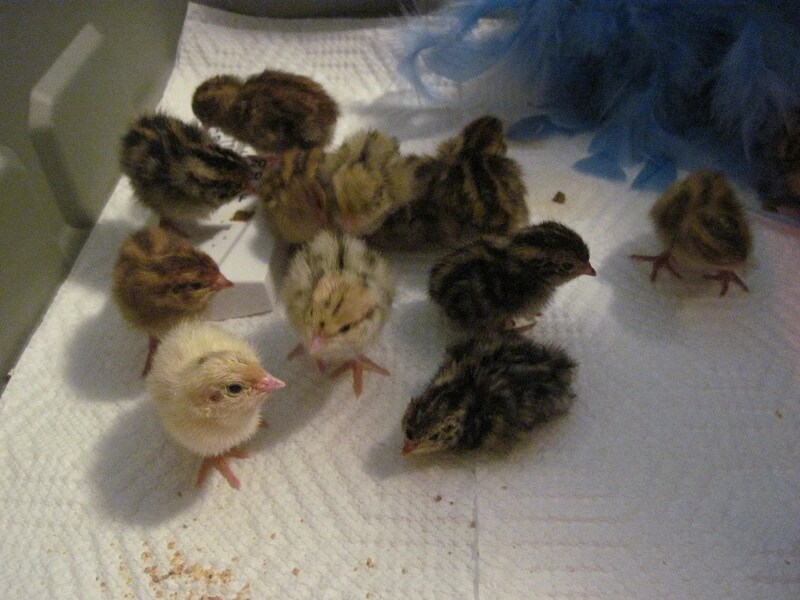 This entry was posted in chickens, Gardening, Life, Pets, quail and tagged chickens, chicks, coturnix quail, Gardening, hatching eggs. Bookmark the permalink. You’re an amazing person! I know–I sound corny, but I’m glad to know you. I hope you get some rest after assisting with the hatching. It sounded so stressful! Thank you, Tressa! 🙂 Yes, it was VERY stressful. I’m still not caught up on my sleep, but at least the hatching seems to be over now, and we can just relax and play with the babies.